Win FREE $100 Walmart Gift Card! 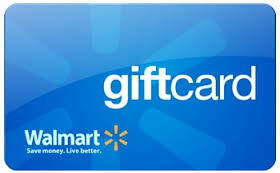 We are giving away a FREE $100 Walmart Gift Card! To enter, simply sign up for Coupons and Freebies Mom Daily Emails & then fill out the entry form below! Sign up for free emails – CLICK HERE! If you already receive our daily emails, you do NOT have to sign up for emails again – just fill out the entry form below to enter! BONUS ENTRY!!! Snag an extra bonus entry if you join Coupons and Freebies Mom Exclusive Facebook Group! (It’s FREE, and we’ll help you snag more HOT freebies!) JUST CLICK HERE TO JOIN! Fill out the entry form an extra time to snag your bonus entry! BONUS ENTRY!!! Snag another extra bonus entry if you visit Coupons and Freebies Mom Facebook page – CLICK HERE! We would love for you “like” the page, but it’s not required. Fill out the entry form an extra time to snag your bonus entry! Thanks for all the giveaways. This site is great! Thanks so much for the chance to win. Expecting newborn baby boy anyway now and winning will really help! I’m pretty sure I’m part of your fb group but the link doesn’t work for me to check to make sure. I said that I am. I must have already entered this because I see my comment now. I just entered again. Sorry about that.